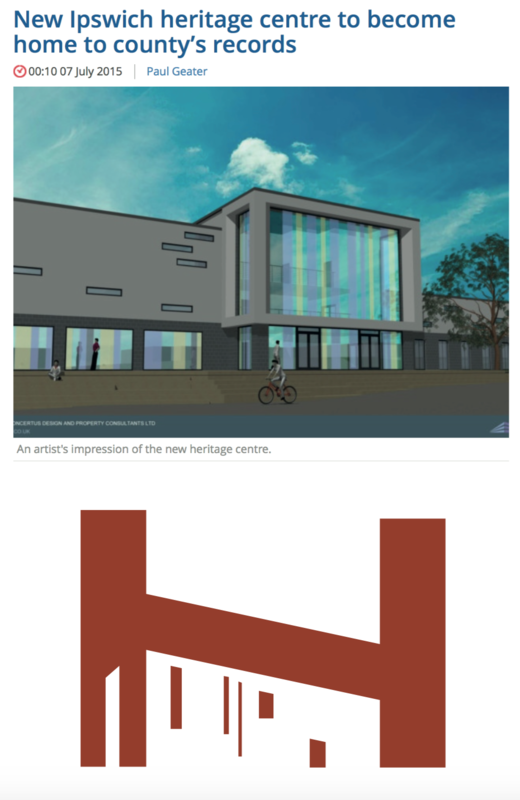 A little while back I entered and won a design competition for The Hold, a new heritage centre that is a shared venture by the Suffolk Record Office, UCS and Suffolk County Council. 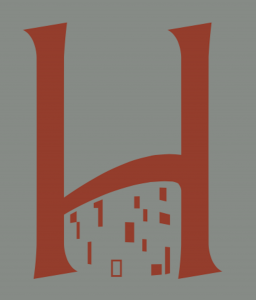 The Hold (which is its current working title) promises to be an exciting flagship centre for the public to engage with Suffolk’s past. I enjoyed designing for the project and working with Suffolk Record Office on the final details, so I thought I would share a bit of my design process and final solution. 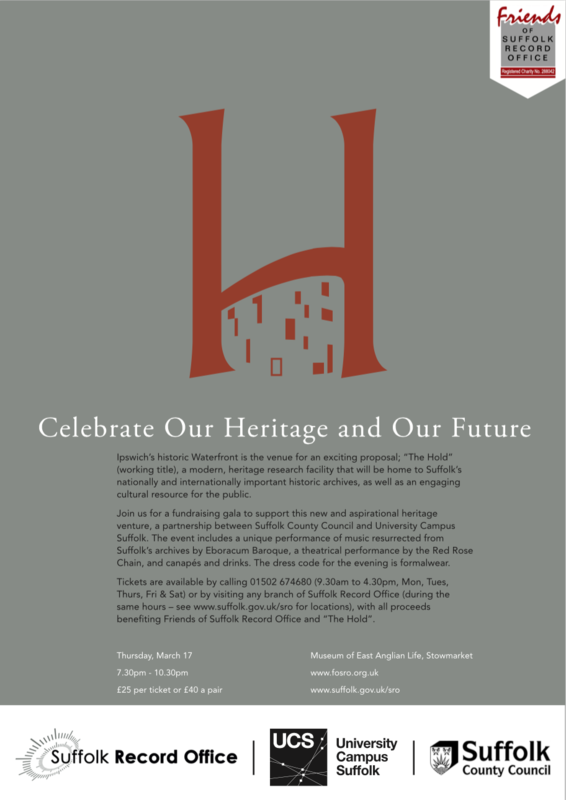 The brief was to create an invite and a poster to promote the upcoming fundraiser for the Hold at the Museum of East Anglia Life in Stowmarket. 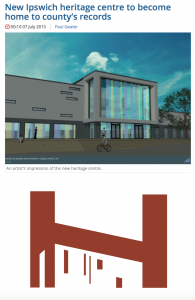 As the heritage centre would be located on the Ipswich marina, a nautical theme could be used. However, since The Hold would contain historical resources beyond Suffolk’s maritime history, I thought it would be best to research other items for inspiration. 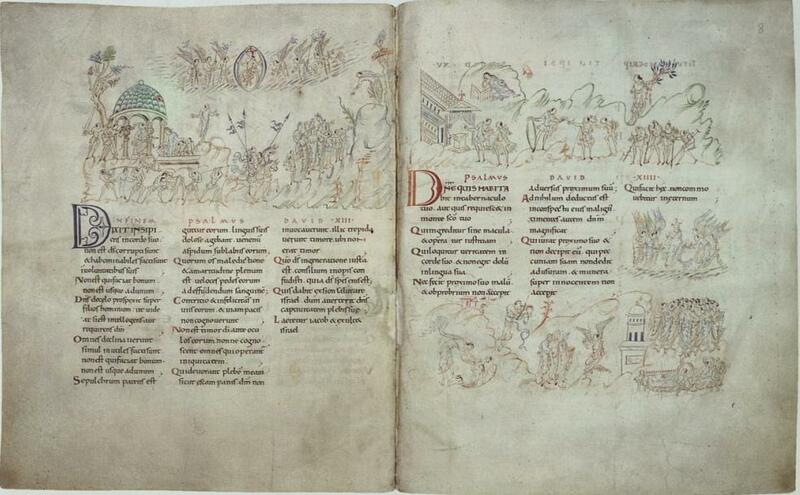 The calligraphy of The Bury Psalter grabbed my attention. 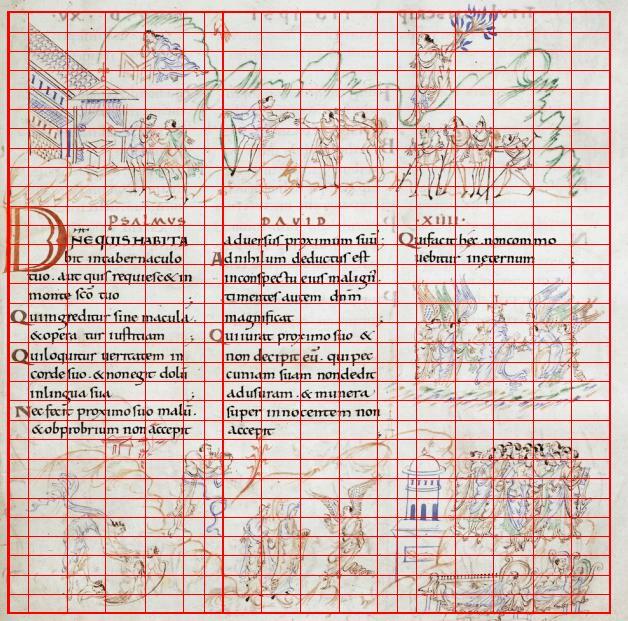 12th century grids! 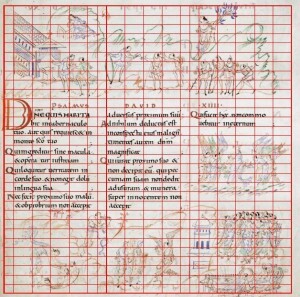 I find perfect calligraphy impressive in itself but to work within a rigid grid structure like this is just amazing. This is the final vector version, but it took quite a few layout pad pages to arrive at this point. 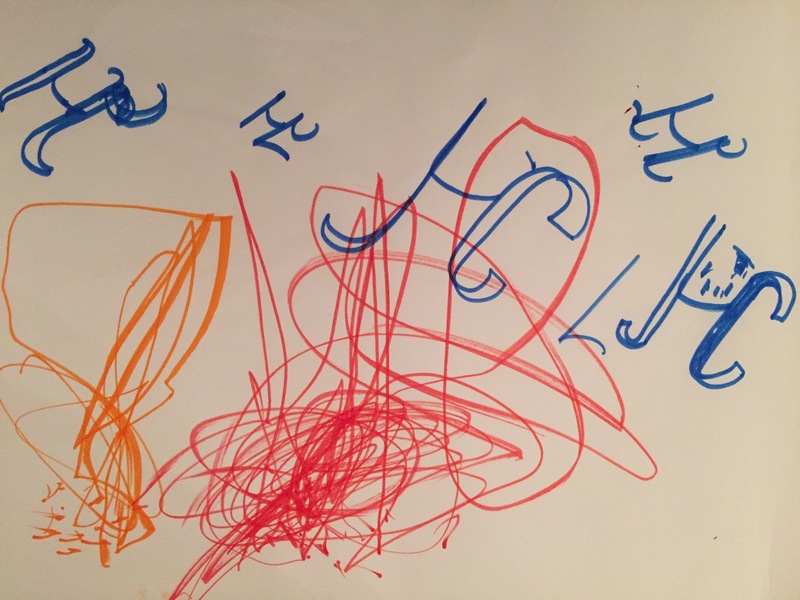 I did have a doodle partner, my two year old son, and his free style of mark making is a lovely reminder to just enjoy putting pen to paper. 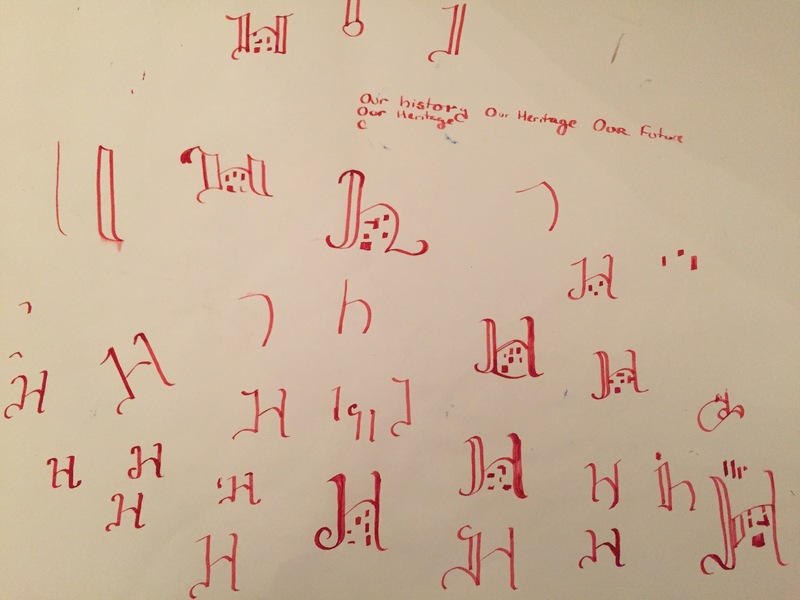 I couldn’t help myself but to go out and buy a calligraphy pen set. There were times when he wanted to trade pens, so sometimes it was best just to share his bulky Crayola markers on the kitchen table. 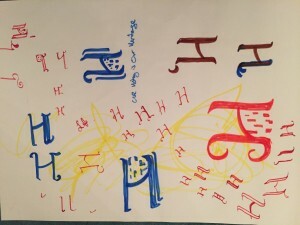 Calligraphy is something I would love to learn to a high standard. 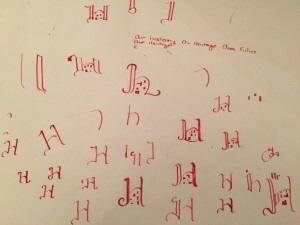 It’s such an enjoyable thing to see a stroke of pen change weight and produce elegant curves. 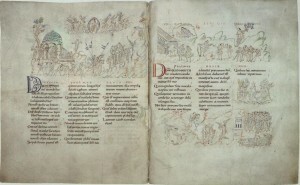 I would eventually move to the computer and work up the digital version with a title. I enjoy writing copy and took a stab at it so I would have an idea of how much space would need to be allotted for it. A slight rephrasing of the brief and SRO’s description of the event would become the body copy I submitted. 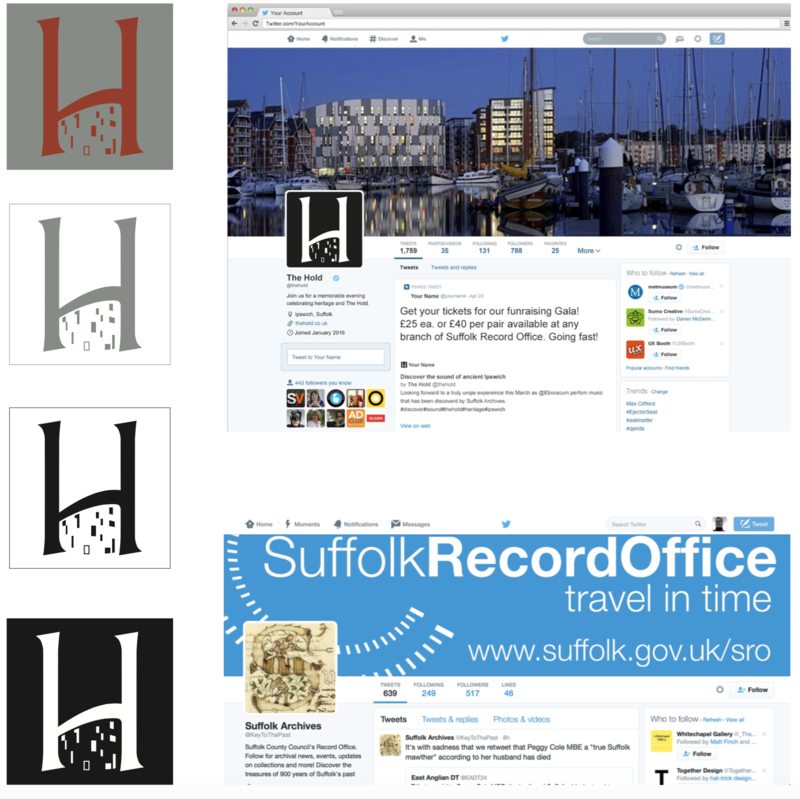 I sent off a mini presentation pdf of the H image and how it would work in black and white, a4, a5 and how the colours imitate those of the Friends of Suffolk Record Office logo. I also included some additional thoughts like how the H might look on a twitter feed. I would discover SRO has an illustrated S for it’s twitter image and so my H would be nicely linked. I also included a scope for the future whereby the concept could be adapted to fit the eventual shape of the building itself. The Hold is a working title and subject to change but for the purposes of the fundraiser I think it works well to celebrate heritage and history in Suffolk. 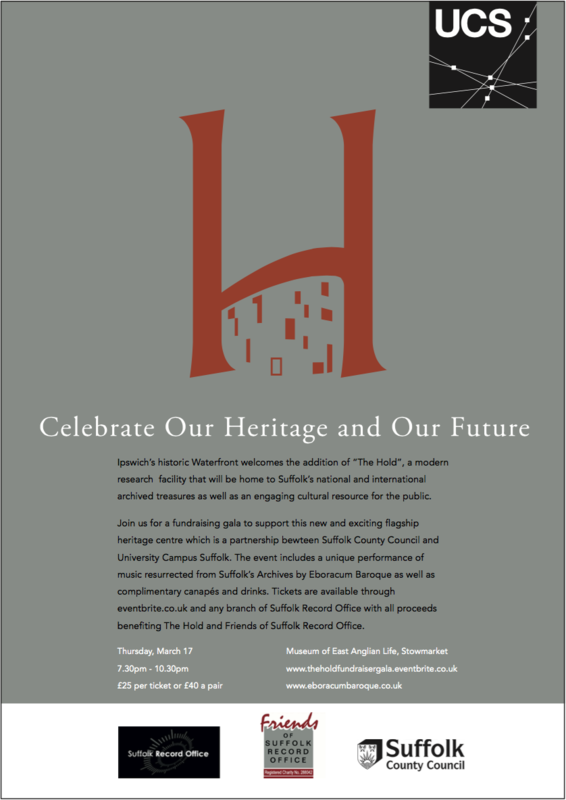 Suffolk Records Office was in touch to inform me my design had been chosen and I would meet with Amy Rushton of SRO to discuss some minor adaptations to the poster and invite. The brand guidelines for the UCS logo means it usually sits in the top right hand corner but in this instance it would be possible to place it among the other logos. A revised version of the body copy was provided and the new format for the poster translated nicely to the a4 invite. I’m looking forward to seeing these flyers in person! There was a handsome cash prize awarded for my design and it was greatly appreciated, but moreover it was a really enjoyable experience and I welcomed the opportunity to contribute to something such as a heritage building on the waterfront. 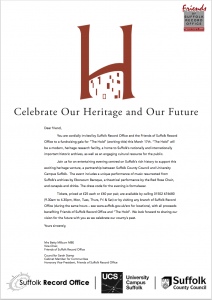 Do have a look at http://www.fosro.org.uk (friends of suffolk record office)and https://www.suffolk.gov.uk/sro to find out more. If you’re interested in attending the fundraiser, here are the details! The fundraising gala is on Thursday, March 17th from 7.30 to 10.30pm at the Museum of East Anglia Life, Stowmarket. Tickets are £25 a head or £40 per pair with drinks and canapés included. 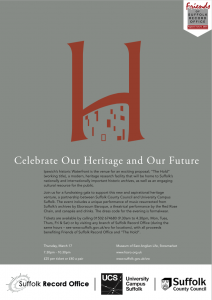 There will also be a performance of music resurrected from the Suffolk Archives performed by Eboracum Baroque. Call 01502 674680 for tickets or visit any branch of Suffolk Record Office.